Washington, DC – US prosecutors have charged WikiLeaks founder Julian Assange with conspiracy for agreeing to break a password to a classified US government computer with former US Army intelligence analyst Chelsea Manning in 2010. According to court documents, unsealed on Thursday, the charge relates to Assange‘s alleged role in one of the “largest compromises of classified information in the history of the United States”, the US Department of Justice (DOJ) said in a statement. Assange, 47, was arrested by British police on Thursday, paving the way for possible extradition to the US. He had been living in the Ecuadorian embassy in London since 2012, but Ecuador‘s President Lenin Moreno said the government revoked Assange’s asylum because of his “discourteous and aggressive behaviour”. According to British police, the Ecuadorian ambassador in London invited authorities into the embassy where they made the arrest for breaking bail conditions in the UK and on “behalf of US authorities”. The US indictment alleges that in March 2010, Assange engaged “in a conspiracy with Chelsea Manning” to assist Manning in “cracking a password” stored in US Department of Defense computers connected with a US government network used for classified documents and communications. 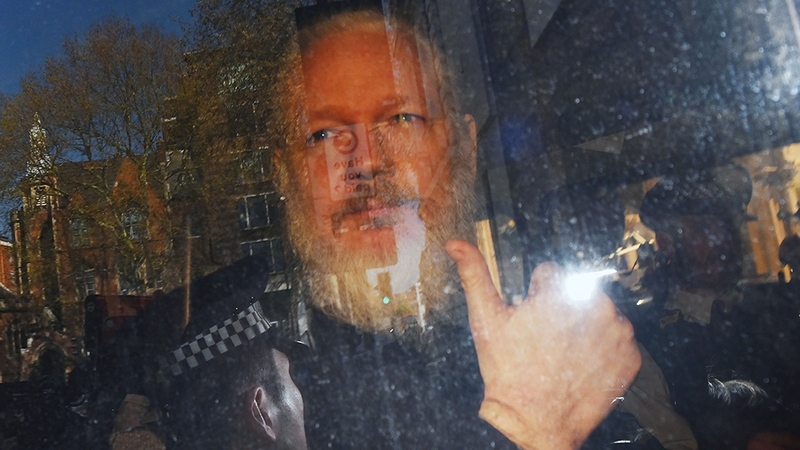 Barry Pollack, Assange’s US-based lawyer, said that “journalists around the world should be deeply troubled by these unprecedented criminal charges” that led to Assange’s arrest. “I think if he was merely receiving information then there would not be a conspiracy,” Holloway told Al Jazeera. Conspiracy is to do something illegal, he added. “What is likely is that there will be superseding charges that are filed before an extradition decision is made. And there are hints in it that will be the case,” Ott told Al Jazeera. By focusing on Assange’s coordination with Manning about cracking a password, prosecutors are framing their charges against Assange as more than a press freedom case. The effect, Ott said, is to get around Assange’s likely claim that he was merely a publisher whose actions were protected under the US Constitution. If prosecutors file additional charges, it could result in a prison term for Assange longer than five years, if he is convicted, Ott said. Assange’s extradition from the UK will probably take two to four months, Ott added. Assange’s legal team in the UK expressed disappointment over Ecuador’s decision to allow for the WikiLeaks founder’s arrest. “Ecuador will be blackballed from international society for doing this,” Assange’s lawyer Geoffrey Robertson told BBC News.